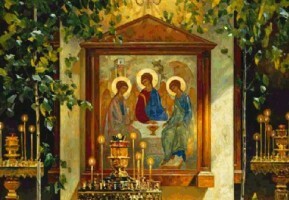 Every great feast in the Orthodox Church witnesses directly and unequivocally to a miracle. The miracle that the Lord, through His Holy Spirit, created a new reality of human existence – His Church – on Pentecost gets skipped over. God gave tormented mankind the Life-Giving Source: water that, according to the Church’s hymnody, leads to life everlasting. And the primary miracle of the transfigured ecclesial reality – the Eucharist, which demands of us self-sacrifice and a profound inner work of faith – also gets skipped over by those who want to live with graphic and mind-boggling signs and wonders. Even a Christian who isn’t very well educated or well-read is familiar with the lives of saints, and the true miracle happens when this Christian embraces the ecclesial experience described in the lives of saints. Excessive thirst for miracles is dangerous. In the Bible it says that Pharaoh’s priests were able to perform many inexplicably miraculous things. But all true miracles take place through the Holy Sprit’s action in people, the Church, and the world. It is this Spirit that we should receive – and this means living in Him. The sisters were stunned and even upset at first. But then they were consoled. First, modern people usually find it difficult to talk about death. To the worldly mind, death is something horrible, irrevocable, and hopeless. 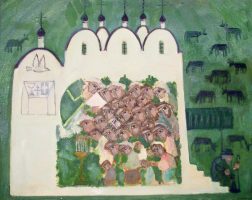 But whether we die in a martyric and tragic way, or in a simple and calm way – painless, blameless, and peaceful, as the Church sings – both can be for Christ and for Orthodoxy. 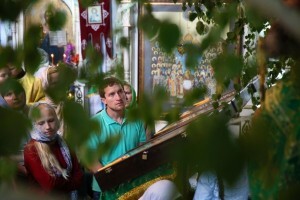 So that people aren’t afraid that Batiushka was blessing them to sacrifice themselves the next day, I will say that this kind of sacrifice is, to a certain degree, even easier than living an ordinary Christian life, living with the Gospel, with Christ and His Mysteries, and ultimately being found worthy of what we pray for every day: a painless, blameless, and peaceful end. Let us recall what the Feast of Pentecost is all about. This is the day of the descent of the Holy Spirit upon the Apostles. The Spirit of God is life-giving, completely filling life and death, and the future existence beyond death, with ultimate meaning. Now on to the second point: We need to remember our responsibilities as Orthodox Christians who should’ve already been enlightened by the Holy Spirit through Baptism, Chrismation, and participation in the Mysteries. We should be responsible for ensuring that the entire world be enlightened after us. The Holy Elder Silouan of Athos prayed: “O Lord, grant that all the peoples of the earth come to know Thee by Thy Holy Spirit!” All peoples ­– with the exception of natives of faraway and unknown lands – have likely heard about the Lord and know of the existence of a book called the Gospel. But not everyone has yet come to know the Lord in the Holy Spirit peacefully and meekly, without excessive emotion, without hand-wringing and eye-rolling, or engaging in false mysticism. The Lord transfigures those whose hearts He enters, so long as they don’t resist. But resistance is common: “Now the Holy Spirit will transfigure me, but I’m not ready yet! I still haven’t smoked my last cigarette! O Lord, come to me with Thy Holy Spirit the day after tomorrow! Today I still need to finish smoking, and tomorrow I still need to have my last drink.” The Apostle Paul said not to quench the spirit, that you mustn’t resist grace. “Not resisting grace,” means immediately answering the call of the Holy Spirit with all one’s heart. St. Seraphim of Sarov said that receiving grace is very simple; no tricks are required. The Holy Spirit is granted neither for education nor for the lack thereof, neither for supernatural prayer nor for the lack thereof, but for an even, quiet, and peaceful Christian life. This, in and of itself, is clear evidence that the Holy Spirit is in the person who leads this kind of life. Therefore this person is quiet and meek, and the simplest truths of the Sermon on the Mount live in his heart and are conveyed through him to others. As such, dying for Orthodoxy doesn’t necessary mean seeking out a martyr’s crown. In antiquity there were sects whose members were obsessed with the idea of dying as martyrs. Gathering in groups, they fell upon passer-bys, demanding that they kill them so that these fanatics could become martyrs. If they declined, the sectarians would kill the passer-bys themselves. So please bear in mind that this isn’t our way! 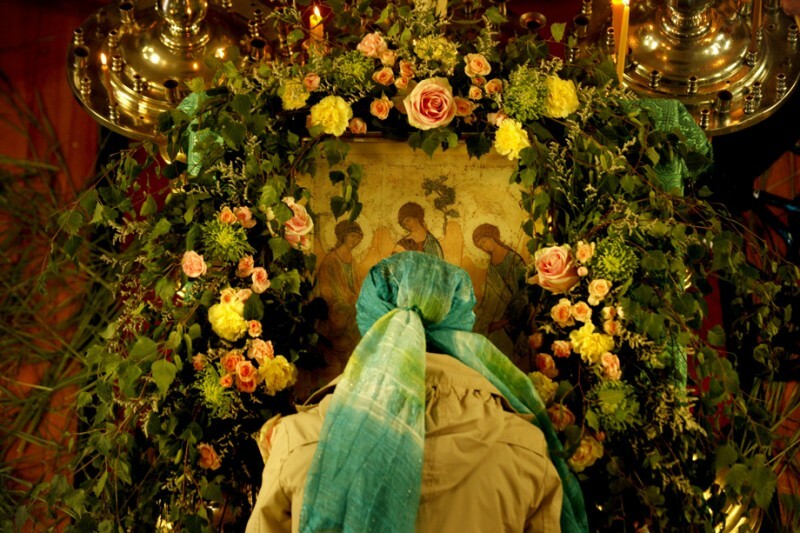 Most of the time, dying for Orthodoxy just means living with God and just dying with Him. And when you die with Him, you’ll be born into life eternal. The Dormition Fast: Is There a Sea in Which One Cannot Drown?